a default circular profile image instead of their brand. 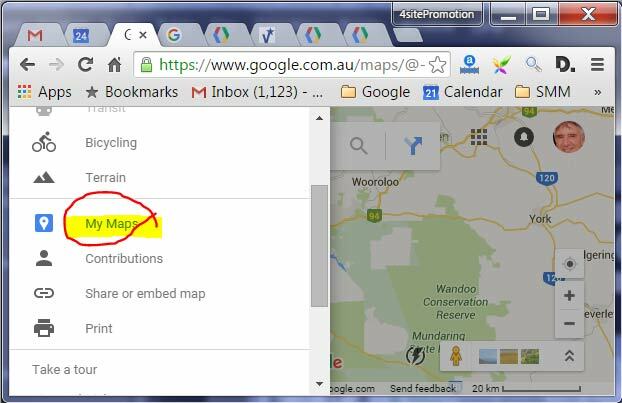 It's your Google+ business profile which whether you know it or not, shows up on Google Maps. Google Maps leads to discovery. 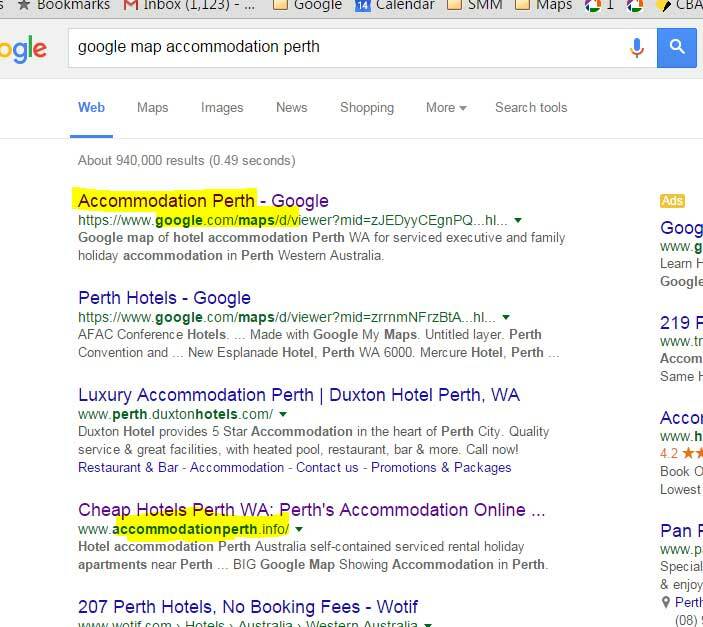 If you understand copywriting for SEO, your Google maps can show up on the Google search engine. Eg: ours yellow highlighted on page one of the Google search engine. Another form of discovery by travellers is they know the brand Google Maps, go to it and start searching for hotels near their destination such as a convention centre, airport, river, mountain, lake, beach etc. Eg for me I look for accommodation near nice beaches while my wife +Suree Sribuathet looks for swimming pools from satellite photos used to make Google Earth. Our mapgoogle.org gets about 100 thousand views per year. Not bad considering it's not even a website but rather only a domain name, redirect to our layer of Google maps. One of the video pins with a cine camera icon, links to the Google+ Travel Videos Open Community where anyone can reach out to travellers, vloggers, and over 1,000 members with up-to one free promotional post per month for hoteliers, or more if I consider them public interest destinations. Go to google.com/maps. If you don't see your Google+ profile circular photo in the top RHS corner, sign in to your Google account. 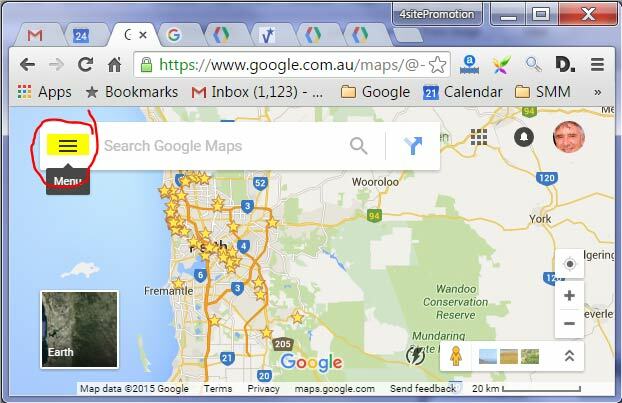 Example of how to create an Australian Google map shows below. 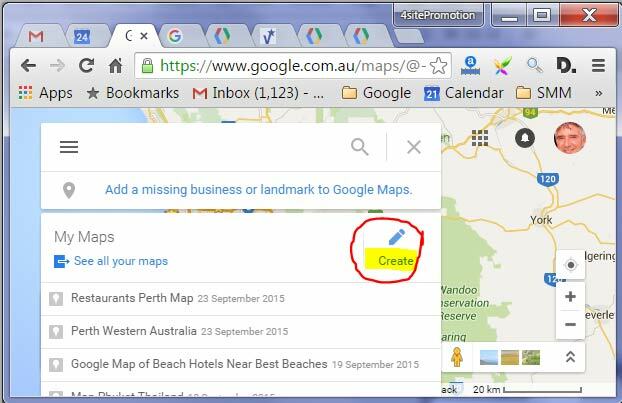 Last map marketing tip: If you have a land mark near your hotel and want to add it to Google maps, you can add it via www.google.com/mapmaker Then when travellers search for the landmark, they'll see your nearby hotel's Google+ profile.